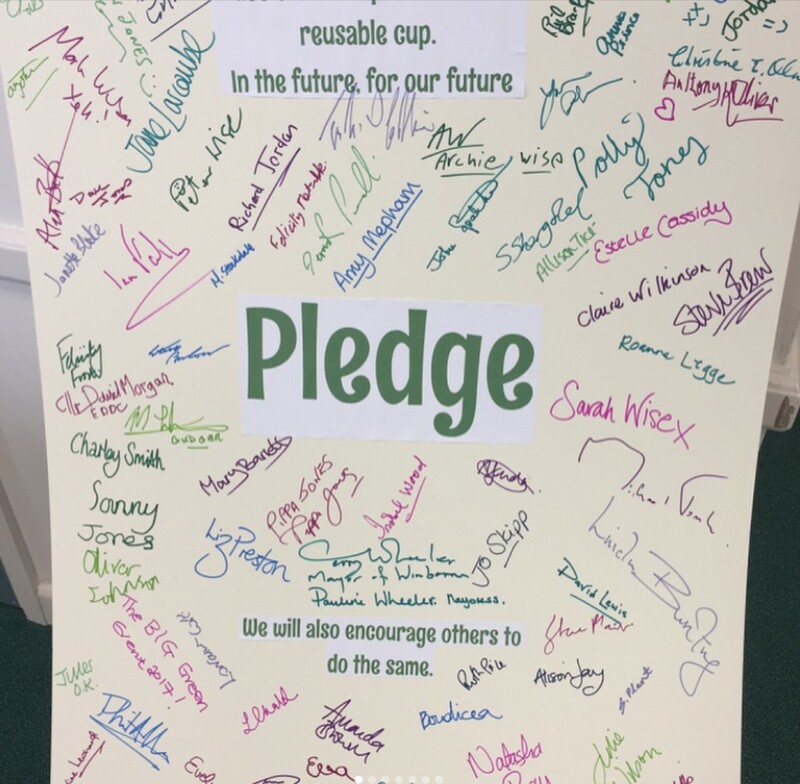 In what could be a UK first, the Dorset town of Wimborne hosted a day of awareness raising and positive action focusing local minds on the 5,000 single use, disposable coffee cups that are thrown away in the UK every minute. It’s a staggering statistic – five thousand every minute – that’s eighty-three every single second. Wow. Wimborne’s War on Waste and the town’s Business Improvement District worked with local groups including Sustainable Dorset and the excellent Litter-free Dorset campaign. Most of the town’s cafés have signed up to be part of the café trail, and the group wants to make Wimborne the first ‘disposable coffee cup-free town’, which is quite an ambition but one we wholeheartedly support. With the sizeable impact coffee cups have on the amount of public place and business waste alone, not to mention the prevalence of lids and cups littering pavements, car parks and open spaces, it’s great to see a Business Improvement District tackling this important issue. We’ll be looking to list all the cafés supporting the local campaign on our website over the next few weeks. If you’re visiting Wimborne this summer, be sure to take your refillable and snap us/tag us in a pic! Find us on Instagram, Twitter and Facebook – @refill_here.